This fantastic set of 24 Koh-I-Noor watercolour pans is ideal for young artists or amateurs looking to take their first steps in watercolour painting. 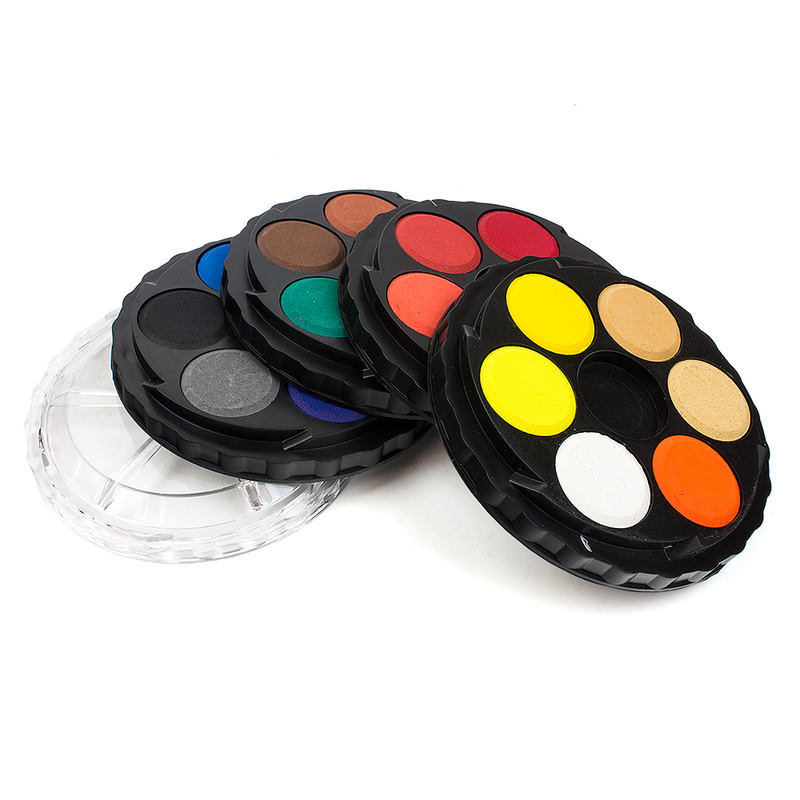 This set includes a good variety of colours that will have you well on your way to creating your first painting. There are 24 colours in total, that are split over 4 tiers which can be easily locked together and stacked for easy storage. 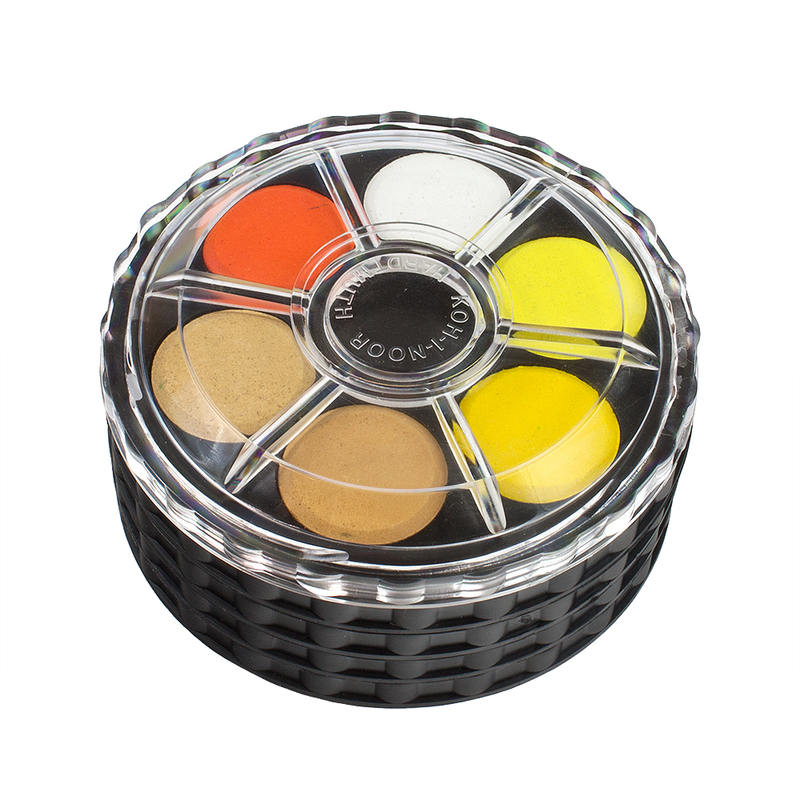 The lid is also easily locked into place and can be used as a palette on which to mix your colours. These watercolours are suitable for special graphic techniques, e.g. colouring of photographs, painting of portraits, painting on decorations, decoration of Easter eggs, and more. 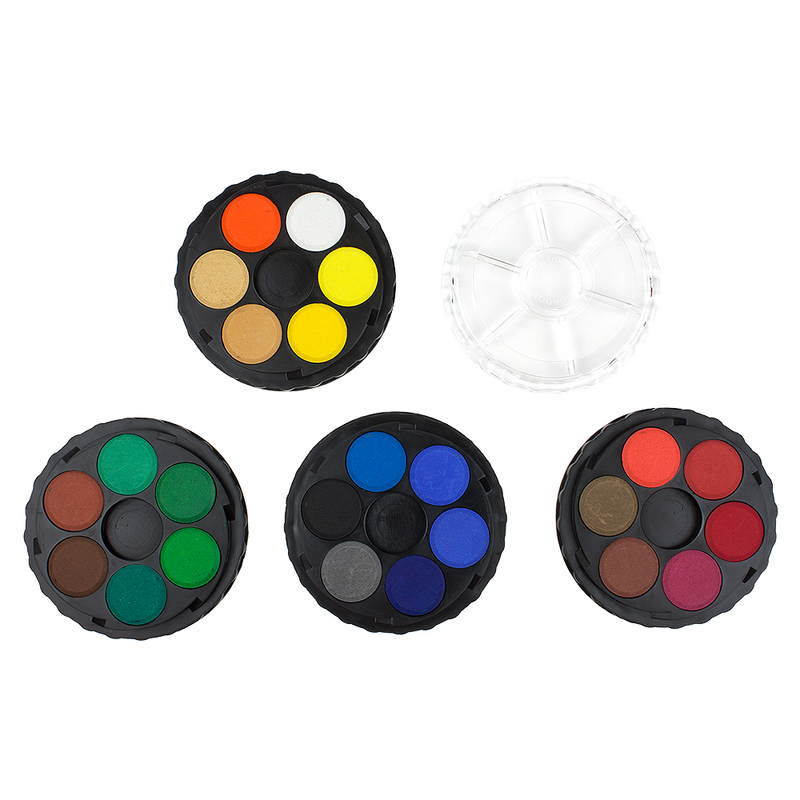 Each watercolour tablet is 2.2cm in diameter, and each tray is 8.3cm in diameter. When stacked this set measures 3.6cm in height.